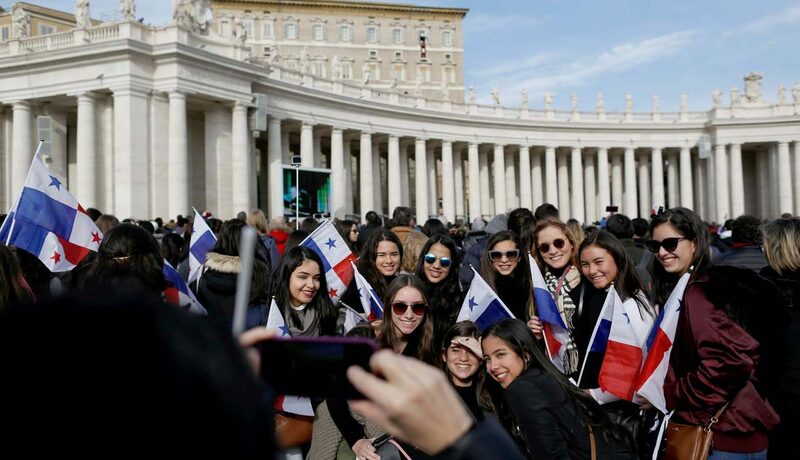 VATICAN CITY (CNS) — True conversion means Christians must not only change their way of living, but also transform their way of thinking in order to respond to Christ’s call to proclaim the Gospel, Pope Francis said. “It is a transformation of thought. It is not about changing garments but habits!” the pope said Jan. 22 during his Angelus address. After reciting the Angelus prayer, Pope Francis led the people in St. Peter’s Square in praying a Hail Mary for the victims of an avalanche that buried a hotel in the Apennine Mountains after a series of earthquakes in central Italy. The pope also thanked rescuers who had saved nine people. As of Jan. 23, the death toll stood at six, but another 22 people were missing and believed buried underneath mounds of snow and ice.